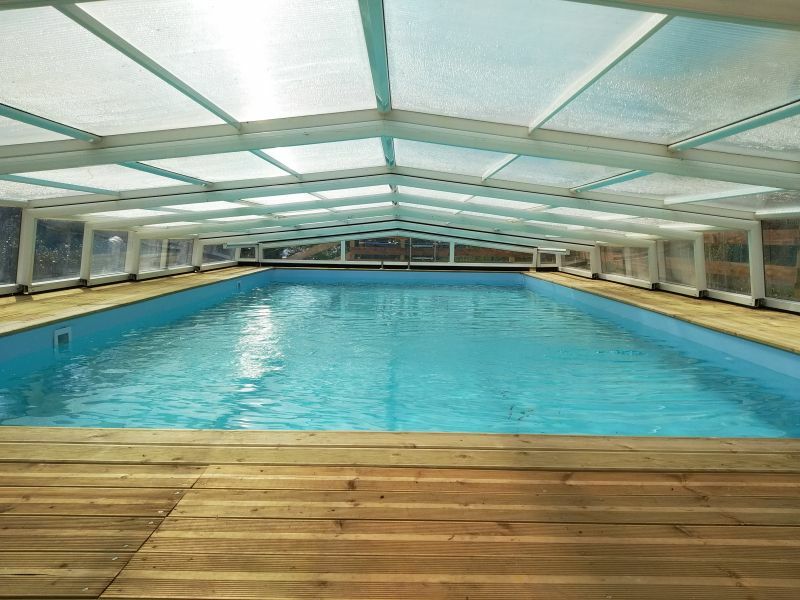 With the help of our friends and neighbours, Loïc and Corentin, we’ve installed our new heated, covered swimming pool! Not only that, but for those who love to play pétanque, often also known as boules – we’ve also added a lovely new purpose built court for you to hone your skills on, or perhaps challenge new found friends on site to a friendly match? There’s also a wooden pergola to relax under if the sun gets too hot, from here, you can still keep an eye on the kids in the pool too. We’re also thinking what a lovely space this would be for a wedding. We’ve hosted a few over the years, and Le Chant has never looked as good as this for your special day. So if you’re planning to tie the knot in front of a select gathering, in a pretty, rural location – where better? Just get in touch and we’ll chat over the options with you. All in all, we just know you’re all going to love the new area! Bonne nouvelles! For the 2019 season, we’re installing a brand new swimming pool for your enjoyment! 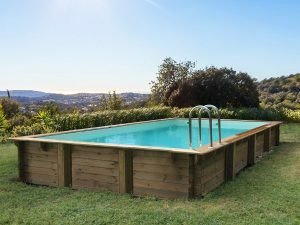 Measuring 10m by 5m, there’ll be plenty of space to swim, relax or play with the kids! 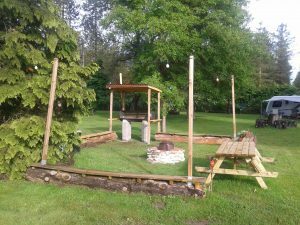 It’ll be heated for extended use both early and late in the season, and we’ll be semi-burying it for convenience for some of our disabled guests too! 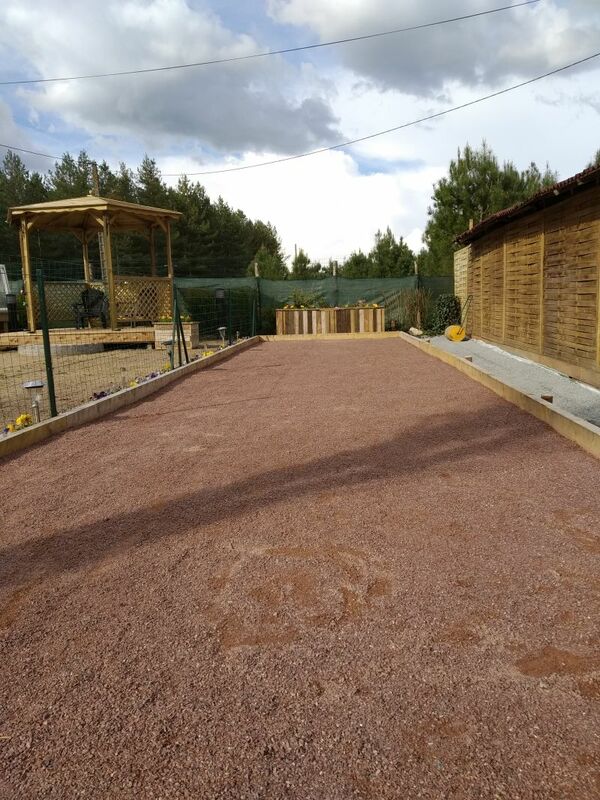 There’ll be a lovely decking area, parasols and loungers to relax on. Syb’s already looking forward to designing, and planting her ‘pool gardens’. We’re both really excited to be starting work in early November with a view to having everything ready for our first guests when we re-open on March 1st 2019, we hope you’re excited too? Massive reductions – find a bargain holiday! Due to an unfortunate family illness, we have availability in Héron (sleeps 5) from the 18th August for a week with a saving of €100! Or, you could come the week before and stay for a fortnight and we’ll knock off a further €50? Last Minute Gîte Give-away! BIG reductions, AND 20% off your crossing with Brittany Ferries with ALL bookings! For remaining weeks in July. Chardonneret (sleeps 2). Normally €615 – reduced to just €550 per week. Hibou (sleeps 5). Normally €725 – reduced to just €650 per week. 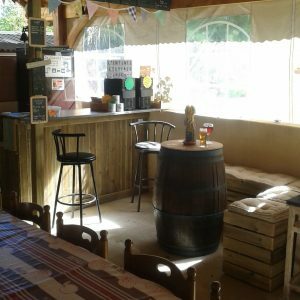 Chardonneret (sleeps 2). Normally €615 per week. Now €595, PLUS a second week at HALF PRICE! Fortnight total of €902 instead of €1230! 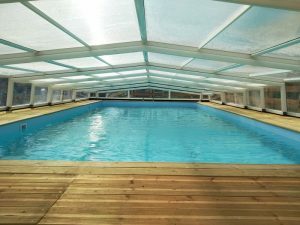 Héron (sleeps 5). Normally €765 per week. Now €650, PLUS a second week at HALF PRICE! Fortnight total of €1147 instead of €1530! Hibou (sleeps 5). Normally €725 per week. Now €600, PLUS a second week at HALF PRICE! Fortnight total of €1087 instead of €1450! Get in touch ASAP to take advantage of these fantastic savings on your 2018 French holidays! *Based on full high season price. We’ve been asked many times if we have a bar here at Le Chant, and many times we’ve answered, no. Until now, that is! 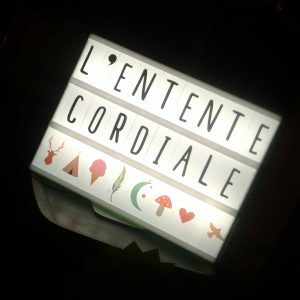 Our latest addition to the barn is our bar – aptly named L’Entente Cordiale! It’s been christened (a few times) already, and is proving to be pretty popular with guests. 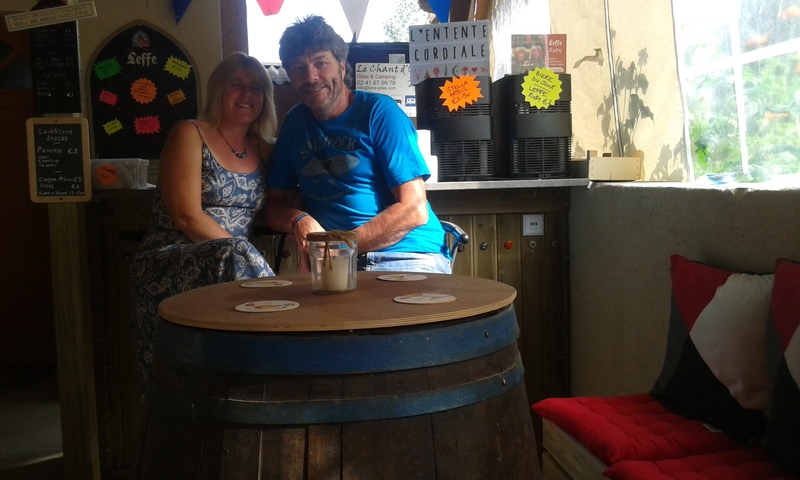 We’ve had our Petite Licence, allowing us to sell wines and beers as well as soft drinks, since forever, but we hadn’t really formalised anything, selling from our kitchen, passing carafes of chilled wine through the passe plat. Guests didn’t really know what to do to get a drink either, so we thought it was high time we utilised some of the space we created in the barn for just that! 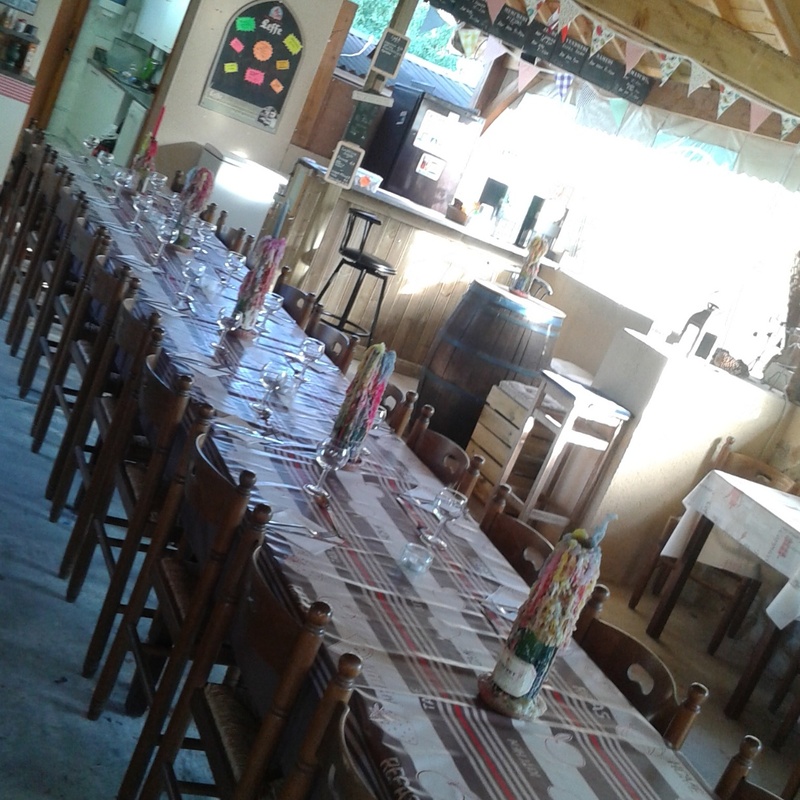 I returned from Saumur with a trailer fully loaded with everything I needed to build the counter and off we went…. Guests had been promised there’d be a bar a few hours later, and there it was – just a few hours later. Sure, it needed a few finishing touches, but they’d come in the next few days. For now though, a bar was born. 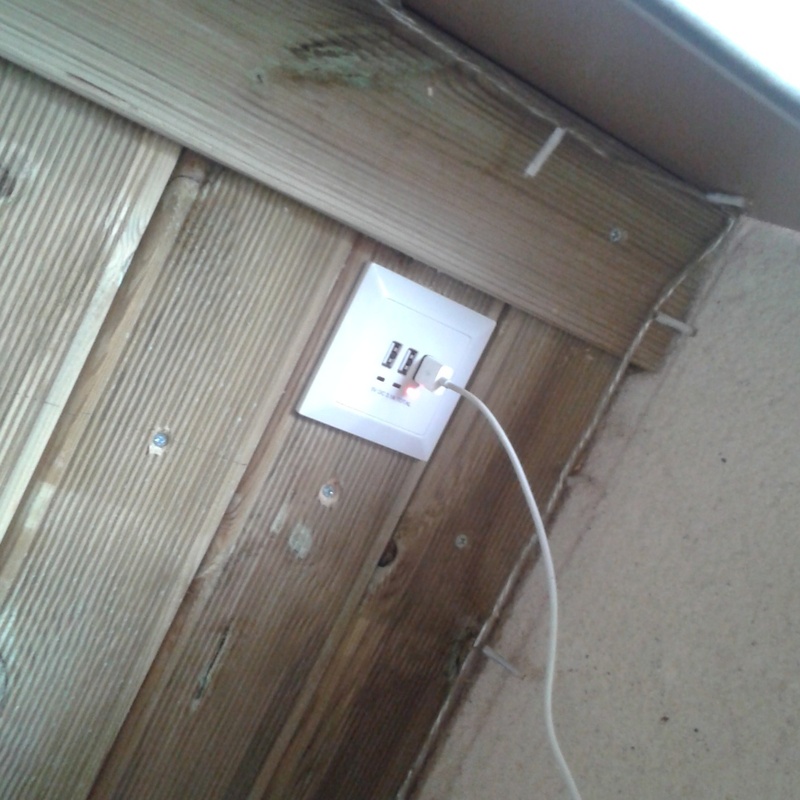 The day after, I set to with the electrickery – lights, plug sockets for the beer machines and other ‘stuff’ that needed to be plugged in. Fridges were moved into position behind the bar, the cupboards were stocked with glasses and pretty twinkling lights were an added feature. A lovely friend who’s an ex-camping & gîte guests but who now lives semi-permanently locally provided some pretty bunting and a light-up sign with the name thereon. There’s even a USB charging point on the bar so you can recharge your batteries while you, er – recharge YOUR batteries with a glass or two! Pretty cushions have been added to the snug area, meaning you can sit in comfort, read a book or chat with mine hosts! Syb’s the better looking one, on the left! New for 2016…..communal BBQ and firepit area. 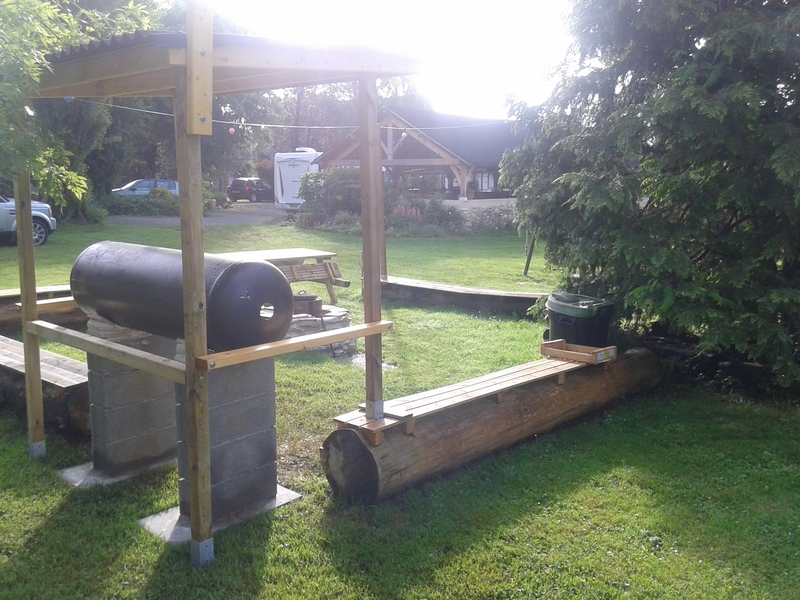 The two stone BBQ’s surrounded by log seats and benches were really popular last year, but the BBQ’s were past their ‘sell by date’ and needed to be replaced. But by what? How? The solution lay in our loft – an old hot water tank, or ‘chauff-eau’. 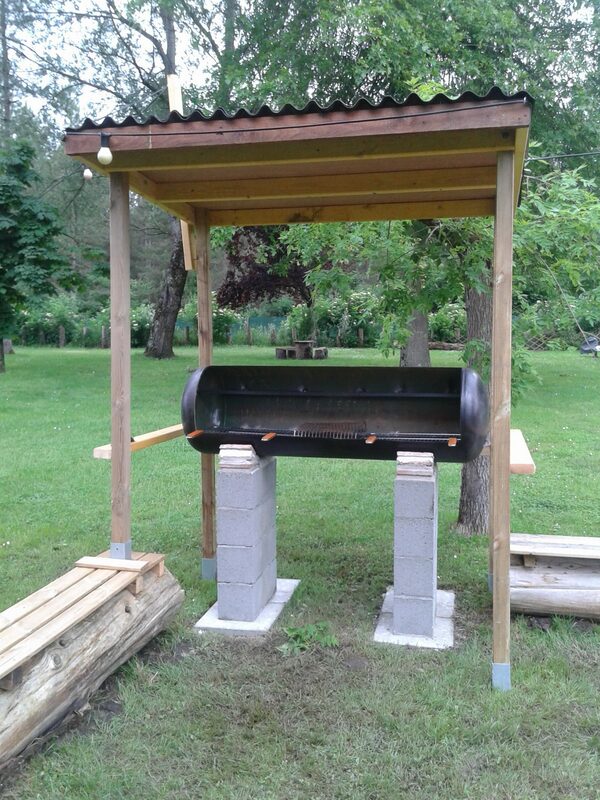 I cut out the basic shape of the BBQ, and our good friend and near-neighbour, Lionel, did the welding for us. After building a solid stand for it, the new BBQ was then painted and lifted into place underneath a useful rain cover. 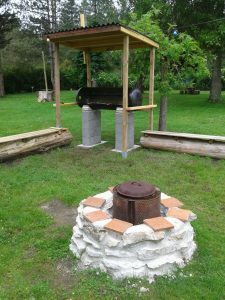 The fire pit evolved from an idea on YouTube! It’s an old drum taken from a washing machine we had stored, but broken beyond repair, waiting for a trip to the scrap merchant. Another bit of ‘upcycling’, involving some old rockery stone, no longer needed, and some old tomettes (tiles) and we were ready to go. All has been cemented in place and it’s now a lovely communal eating & drinking area. 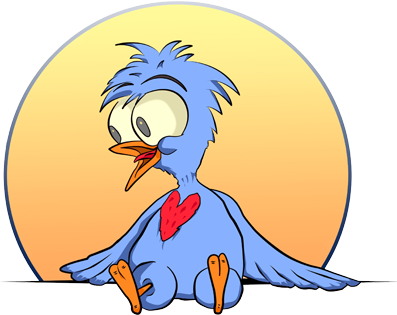 A great space to meet up, chat and laugh with friends old and new. Guests on site have already given the thumbs up to both, so we just know you’re going to love it! 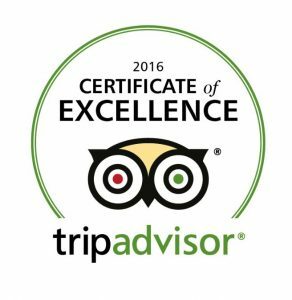 TripAdvisor Certificate of Excellence 2016 Award! 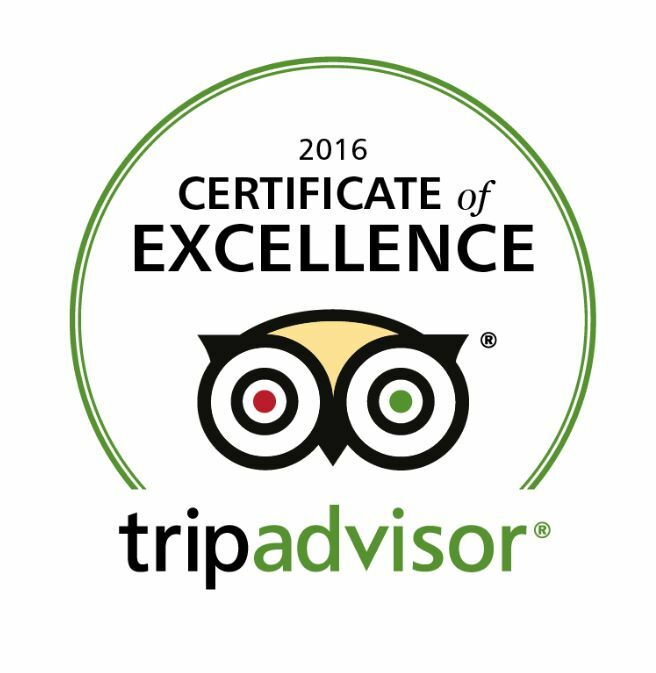 We’re thrilled to tell you all that we’re the proud recipients of the Trip Advisor Certificate of Excellence once again, for 2016! 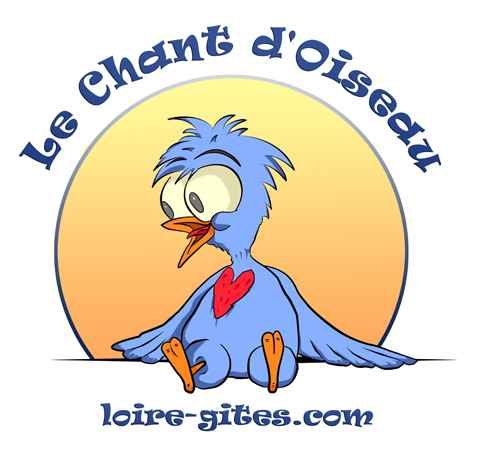 We thought it was time to freshen things up a little, so along with the new logo we have revamped our website to make it easier to navigate and keep up to date with us here at Le Chant. Take time to explore, and we look forward to welcoming you soon.